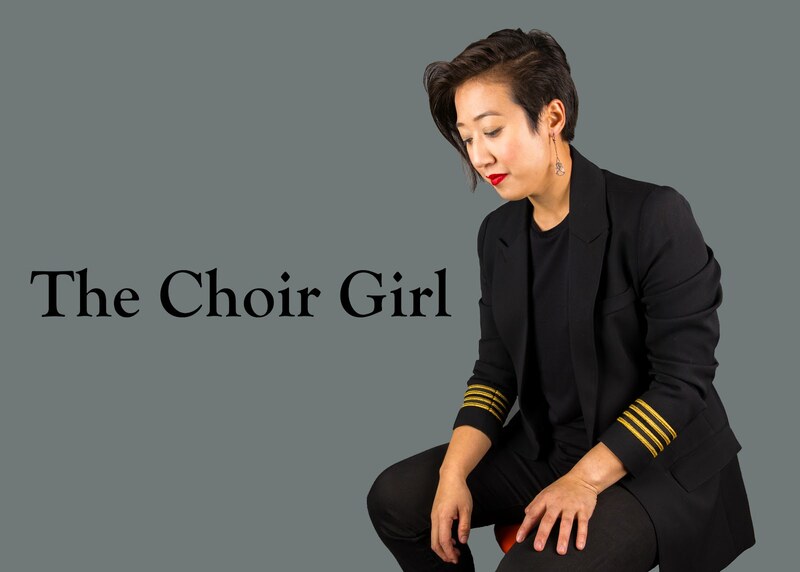 The Choir Girl: Oh My Mother Mother! It's the thick of finals week and I still manage to get myself out to concerts. Good for satisfying my musical desire but probably not so good for my grades. At any rate, I was able to attend a stunning show at the Starlite Room last night where Mother Mother wowed Edmonton with their stunning vocals and musicianship. Now, I know you are all probably not avid listeners of Canadian Indie bands...but it's a real shame because good music is good music...no matter what forms it comes in. You may feel like you're not hip enough, that their music is for young people, but there are elements in every musical genre that should be experienced. 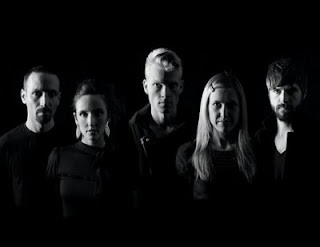 Mother Mother is based out of Vancouver with brother and sister duo, Ryan and Molly Guldemond, starting the group with another vocalist to do acoustic shows. They later added bassist Jeremy Page drummer Loewen with the newest member, Jasmin Parkin, joining as a vocalist and keyboardist. Their upbeat tunes from their new album, O My Heart, succeeded in keeping fans hopping the entire night. They were able to fuse treble charged guitar sounds with crisp and percussive lyrics in "Hayloft" and Molly entranced the audience with "Sleep Awake" with her hauntingly unique voice. There is so much subtlety in the way they perform where you can sense a real connection among them. The frontman, Ryan, often receded into the background to play with the drummer and properly highlighted other soloists in the band when it was their turn whether it was saxophone or keyboard. I would have thought that my attention would only be focused on him, since he played some amazing guitar solos and fronted many of the vocals, but I was equally engaged by every performer on stage. Especially Molly and Jasmin who where singing and playing the keyboard. They were absolutely stunning and gave a charged musical performance where they never wavered in their high energetic output. I normally cannnot hear the keyboard players amidst all the guitar, bass and drum lines but their keyboard were prominent the entire evening. As well, it's just so refreshing to hear such clean and unique sounding vocals from a band. I feel like voices are often drowned out in favour of more electronic instrument sound and this is a detriment to musical performances. People come to hear music...not electronic feedback! Human voices naturally appeal to human ears, since we have evolved to communicate, and it is a shame when clean vocals are not present in many trendy bands today. Sloppy scooping and bad vocal technique should not become the norm but it seems like it has. Musical standards should not be lowered just because some groups are selling an image and not a sound. Another thing that sets Mother Mother apart is how they develop their musical ideas. Of course, there are songs like, Arms Tonite, which are catchy and fun but many of their songs take the time to explore the lyrics and their instrument sounds in order to highlight the message. Often, groups just blast out a catchy chorus and regurgitate words without ever truly examining the relationship between text and music. 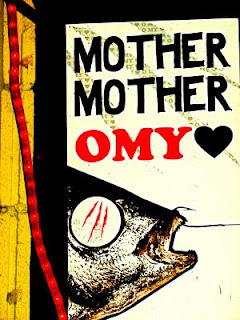 There is no evidence of that musical disconnect in Mother Mother's performance. Each time the chorus returns they revisit it in a different manner even though the words are the same. It's hard to describe but I think most of you know what I'm trying to say. They understand their music and exactly the best way to convey it to their audience. I could spend paragraphs gushing about their music but it would be better for me just to keep this post simple so you can head over to their Myspace to listen to their amazing songs. Be ready to dance in your chair! We should move to Vancouver.